It's easy to say ghosts exist or don't exist. Anyone can do that. Trying to figure out the why or what is a different story. Paranormal investigator Zak Bagans, host of the popular Travel Channel series Ghost Adventures, pulls from his years of experience with paranormal activities and unexplained phenomena to provide an evenhanded look at a divisive subject. In Dark World, regardless of whether you believe in the afterlife or not, Zak does his best to find and share answers to the phenomena that people encounter. He wants you to experience a haunting through his eyes: to feel what it's like to be scared, freaked out, pushed, cold, sluggish, whispered-at and touched by an ethereal being or attacked by a demonic spirit. But beyond simply experiencing these events, Zak is looking for the reasons behind them, searching for answers to the unanswered questions. 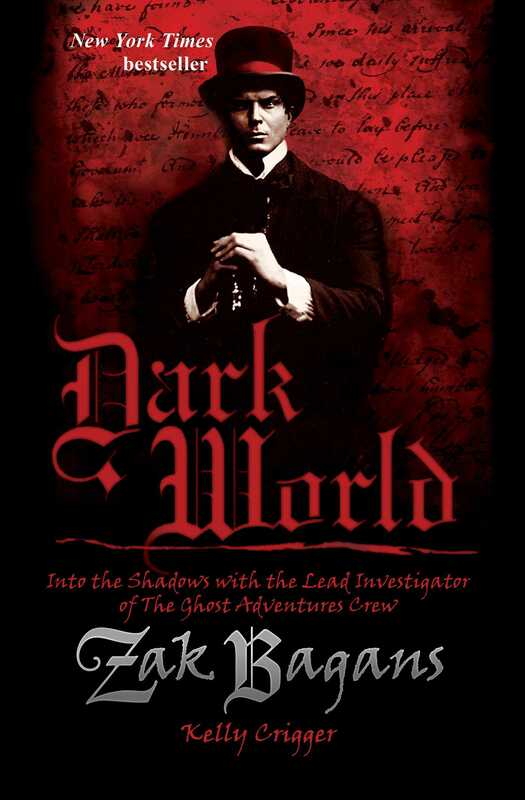 Addressing all the major issues and theories of the field in an impartial way, Dark World is a must read for paranormal enthusiasts, those who don't believe and anyone who's ever wondered about things that go bump in the night.